This is a stunning, circa 1750, Old Master oil on canvas in the 18th century Romantic landscape tradition which could be attributed to the circle of Thomas Gainsborough. 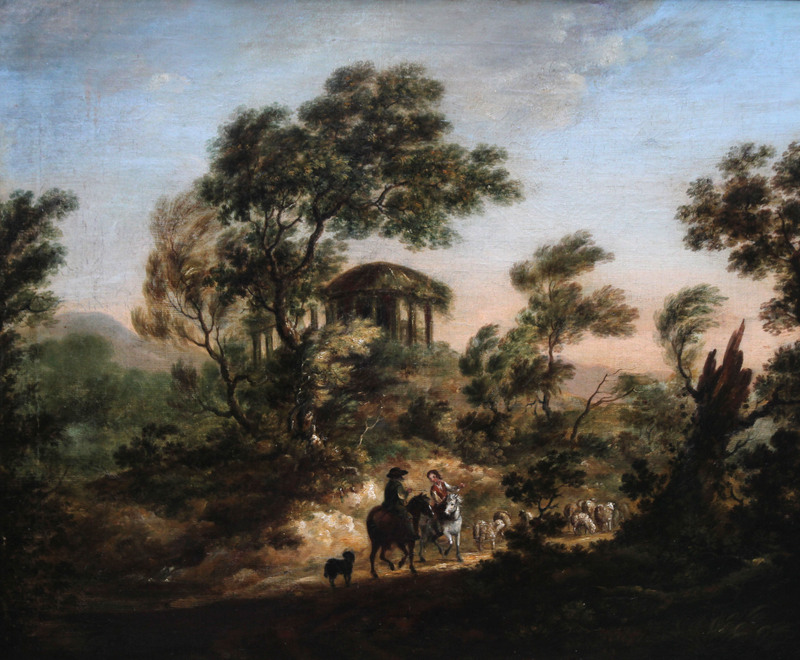 The scene depicts a view with horses and a dog with sheep being herded up a hill with a classical Arcadian ruin in the background. 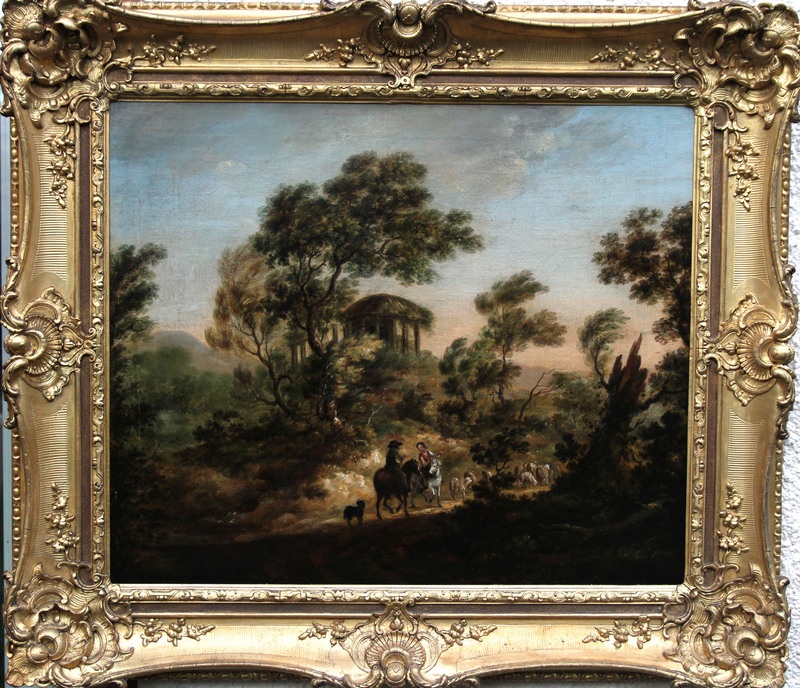 A superb Old Master British country house painting in a 18th century frame. Unsigned. Framed in a fine period gallery frame. 40 inches by 35 inches. Excellent condition.